Mumbai: HDFC Life, one of India’s largest private life insurers today announced the appointment of Ms. Vibha Padalkar as its new Managing Director & CEO for a period of 3 years effective September 12, 2018, in a Board meeting held today. After a successful listing on the bourses in November 2017, HDFC Life is one of the most valuable private life insurers with industry-leading profitability, delivering superior returns to investors. 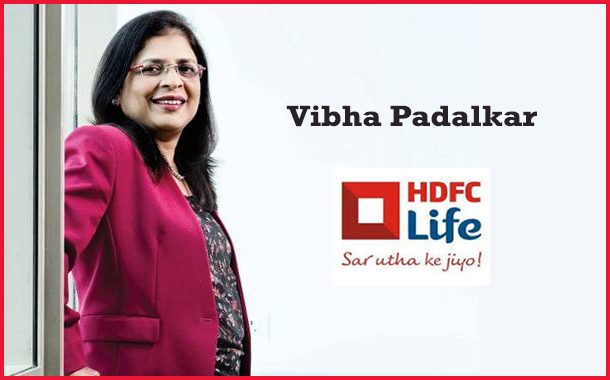 Ms. Vibha Padalkar joined HDFC Life in August 2008. She is qualified as a member of the Institute of Chartered Accountants of England and Wales in 1992. She is also a member of the Institute of Chartered Accountants of India. Previously, she has worked in varied sectors such as global Business Process Outsourcing, global FMCG and in an international audit firm. Ms Padalkar has been leading the Finance, Investor Relations, Legal, Secretarial and Compliance, Internal Audit and Risk functions. She was recently honoured with the ‘CA CFO – Insurance Sector’ award by the Institute of Chartered Accountants of India and by Business Today for the second consecutive year, as one of the ‘Top 30 most Powerful Women in Business’. She was also conferred the ‘CFO-Woman of the year’ award by the Institute of Chartered Accountants of India in 2011 and for “Excellence in Financial Control, Compliance and Corporate Governance” by IMA, India in 2013. The Board of Directors have also appointed Mr. Suresh Badami as a Whole-time Director of the Company for a period of 3 years, commencing from September 17, 2018. The decisions were taken by the Board based on the recommendation of the Nomination & Remuneration Committee. The terms of appointment, are subject to approval by the shareholders and the Insurance Regulatory and Development Authority of India.